Discussion in 'Cross Country, All Mountain & Trail Riding' started by DirtyMike, Mar 5, 2008. So discussion coming from the lounge, What would everyone want in an Ultimate Fixxed gear Mtn bike. My ultimate fixed gear mounain bike would have a freewheel....and maybe some gears. w3rd. Don't forget the riser bars, knobby 26" tires, and suspension fork. I did a ride in So Cal this past weekend called the Counting Coup. It was a ~42 mile ride, with a longer option (Vision Quest) at around 56 miles, both ~8000 +/- feet of climbing. There always seem to be a freak or two (out of ~300 riders) who attempt and complete the VQ on a fixed gear. Oh snap! I should say, I know it wont be a bike for 40 plus mile rides, probably ten at the most. Local trail for the most part. So, any gear combo suggestions??? This idea seem silly to me but we all love bikes so to each their own i guess. 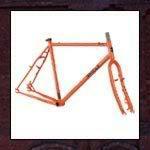 If it were me i would go for a mnt frame spec to get better geo and would run just a front brake with a 80-100mm fork. 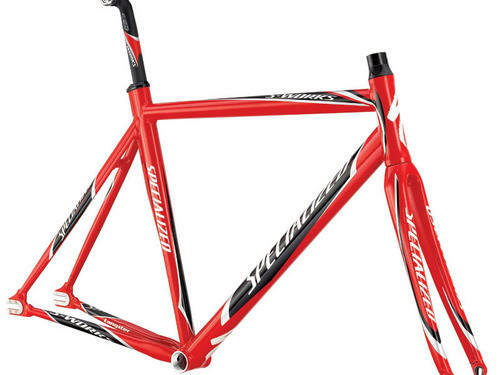 I would want a better frame than a cross frame because i would want to know that when things got ruff i could relie on my bike handaling skills to get out of trouble and on a cross frame i just dont think the redponce would be there. If you ride mellow trails and don't have a lot of tech stuff to ride than maybe but hear in durango i would want a bike that would handle acording. Yeah, the idea is for fireroad riding, working on pedalling, testing the limits of cornering skills etc. I am thinking the same on the fork 80-100 mm. like the frame. you should give it a try. good luck. ANY frame will work then. And they work very well may I add.